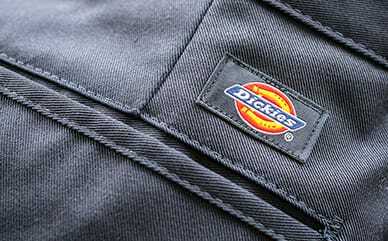 Get into the swing of things with Dickies’ X-Series Active Waist Washed Cargo Chino Pants. Made with a regular fit that hits slightly below the waist, these twill pants are made of a cotton/spandex blend that keep them soft, yet stretchy enough to move with you. This design is made with an active waistband that keeps you comfortable. Several pockets, including a cell phone and cargo pocket, make these pants high on utility and functionality.